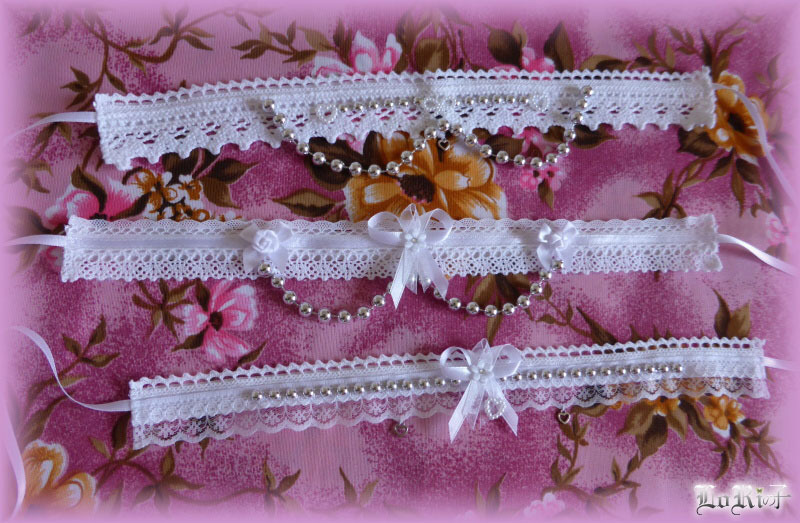 The collection of snow-white chokers mostly of cotton lace and satin ribbons. 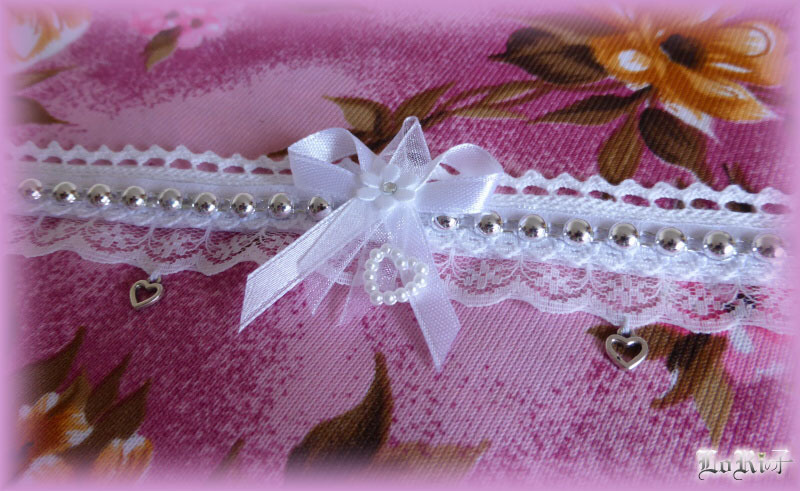 Each of them is decorated differently with use of silver plastic pearls, satin bows, white decorations in shape of bows or tiny metal hearts. 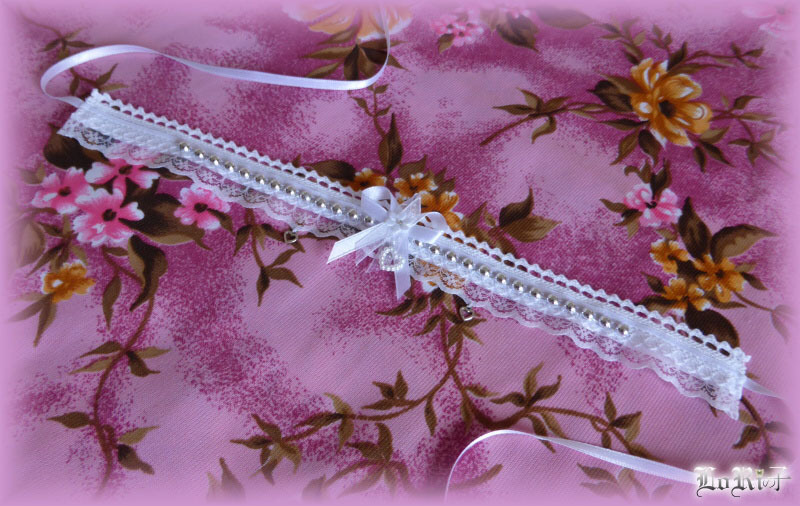 Material: lace of cotton, satin ribbons, plastic pearls, plastic and metal decorations.